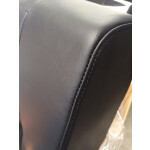 Place - Used on 2010+ T5s - Place pattern used all over. 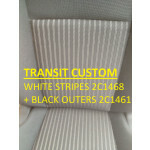 No Grey Outers as it wears easily and we think the pattern looks better. 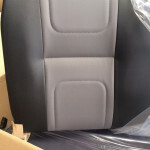 Tasamo Uni - Used on 2010+ T5s - Note Tasamo pattern on seat centres discontinued by VW so the full seat is the same as the outers dark grey Uni Tasamo, to match your front seats. 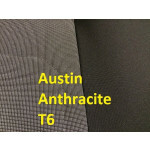 Austin Anthracite - Used on T6 from 2015+ - Titanium outer panels and black/white dotty centre panels. 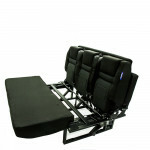 Popular even if yours isn't a T6. 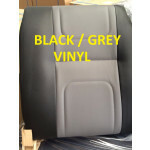 Black & Grey Vinyl - Black Vinyl Outers & Headrest with Grey 9061 Centre Panels, the rear is Enduro in Black. Black Vinyl - Black Vinyl Outers, Headrest & Centre Panels, the rear is Enduro in Black. 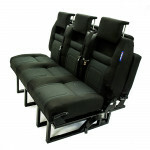 Black Leather - Black Leather Outers, Headrest & Centre Panels, the rear is Enduro in Black. 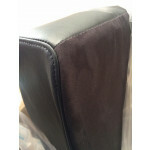 Unupholstered - No fabric at all - Ideal if retrimmingbut check your trimmre has a template first or it may cost you more money! 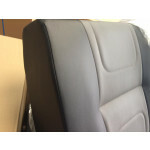 Two Tone - Automotive fabric in Clip Dark Grey Outers, Headrests & Rear, & Falset Centre Panel - Compliments lots of automotive fabrics e.g. 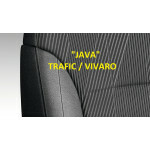 Trafic, VW, Merc. 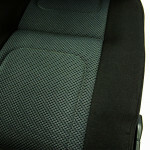 Tartan Golf GTE - Black Vinyl Outers, Headrest & GTE Tartan Centre Panels, the rear is Enduro in Black. 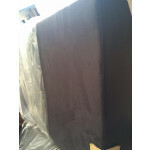 Black Noir - Automotive fabric in Black Noir all over - Compliments lots of automotive fabrics e.g. Trafic, VW, Merc. 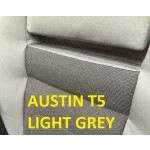 Austin Light Grey - Used on T5s around 2014 - 2015 normally Startlines, not to be confused with Austin Athracite. 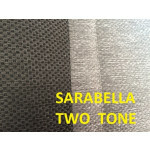 This one is a light grey outer panels and grey dotty centre panels. 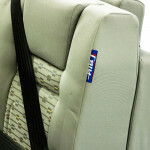 Inka T5 Fabric - Used on T5s from 2003 - 2009, grey outer panels and Inka centre panels. 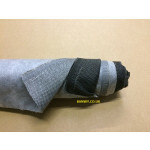 Tasasmo Squiggles - This fabric is no longer produced by VW and Scopema will not use the cheap immitations so Tasamo is now Unigrey all over no squiggly bits. 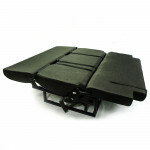 - Slider Mechanism - A bit like your drivers seat, the frame is fixed but the seat can move forward and back in seat position by 20cm. 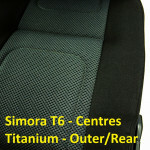 Popular with familes when you want the kids that bit closer, or need a bit more room at the rear for you bike. 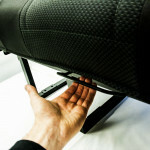 Installation note: A small indentation on the arch is required to allow the bolts to protude from the bottom of the frame. 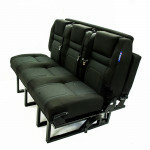 - Available as an optional extra to add Isofix to 2 seat places. 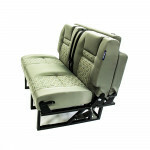 Popular with Families, Grandparents & Rental Campers. 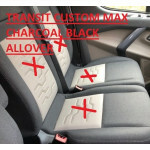 - Option to upgrade to Thermoflex mattress which offers additional comfort, and offers increased airflow within the mattress thus preventing condensation and overheating. 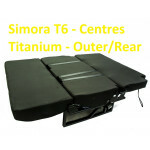 Standard Back - standard seat length of the back is 65cm - this is the length of all our stock beds. 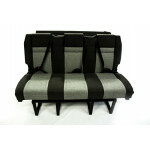 Short Back - 58cm - Popular in small vans where space is a premium. 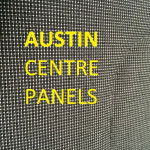 Extra Long Back 73cm - For those of you that are particularly tall this may be an option. 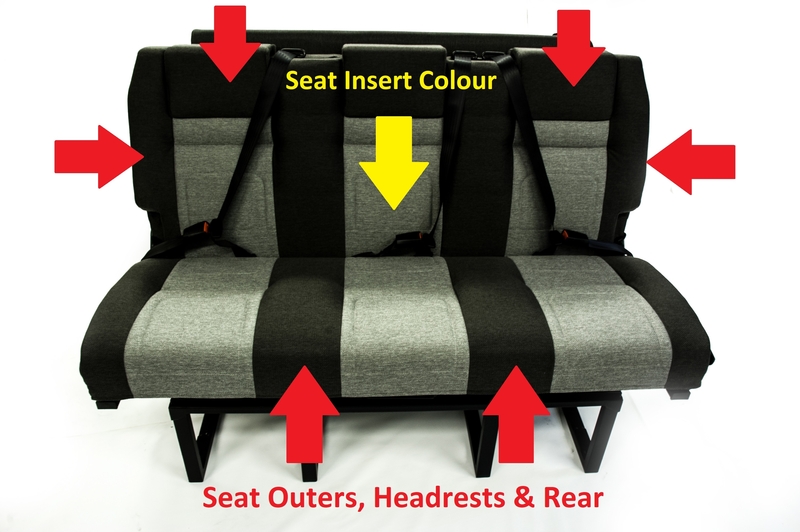 Please ensure it works with the overall layout of your van though, most suited to a LWB as it would require a SWB to be fitted forward of standard position. 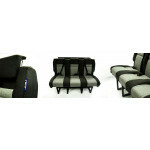 - The standard Banwy height of the frame is 330mm for standard frame or 277mm for with slider. 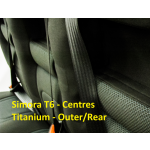 - The standard offset we use is 160mm to avoid the T6 arch. 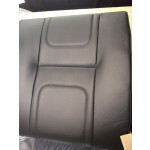 You can order a range of frame heights to suit your vehicle, just measure from the arch in to the vehicle to find the offset, and up wards from the floor to top of arch to find the frame height.